Mike Lloyd helped set the tone for the St. Leo College Lions in this February 1989 game. In the second inning of the contest, Lloyd came up with the bases loaded. He responded by hitting a grand slam in a game that St. Leo would go on to win by a score of 11 to 4. Lloyd went on from St. Leo to turn pro later that year. His pro career, though, ended up being brief. He played in just two seasons. 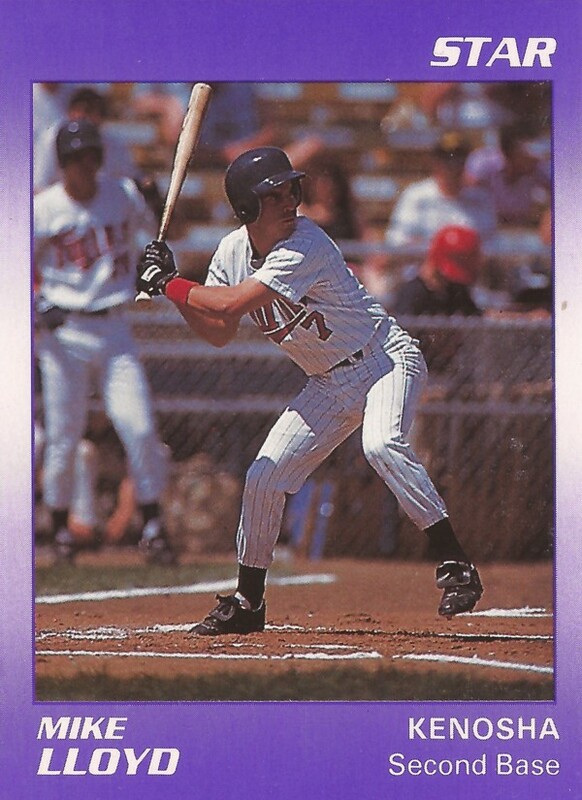 Lloyd's pro career began in June 1989, selected by the Twins in the 31st round of the draft out of St. Leo. Lloyd went to St. Leo after first attending Miami-Dade College. At Miami-Dade, the eventual infielder also pitched. He threw three innings of relief in a March 1988 win. In another game that month, the batter Lloyd picked up four hits. At St. Leo, Lloyd doubled his way into the school's record books. His 24 doubles in 1989 still stands in a tie for school-best. Lloyd joined the Twins at rookie Elizabethton. In 66 games there, Lloyd hit .219, with three home runs and nine stolen bases. He played second base. He moved to single-A Kenosha for 1990. He improved his average to .266 over 83 games. He hit a single home run, but stole 28 bases. He played at second, but got time at third and short. Lloyd also got three relief appearances on the mound at Kenosha. In three innings, he gave up two runs, none earned. That second pro season, though, was also his last.